Four People Dead in Arizona Crash Involving Dallas Cowboys Bus. Four people were killed Sunday when bus carrying Dallas Cowboys staffers but no players collided with a van on a northwestern Arizona highway. The deaths were among passengers in the van, said Quentin Mehr, a spokesman for the Arizona Department of Public Safety. But the bus occupants emerged uninjured. Cowboys spokesman Rich Dalrymple told The Associated Press in an email, "All on the bus came through OK with some bumps and bruises." Dalrymple said the bus was carrying only members of the franchise's staff, but he would not say how many. There were no players on board. 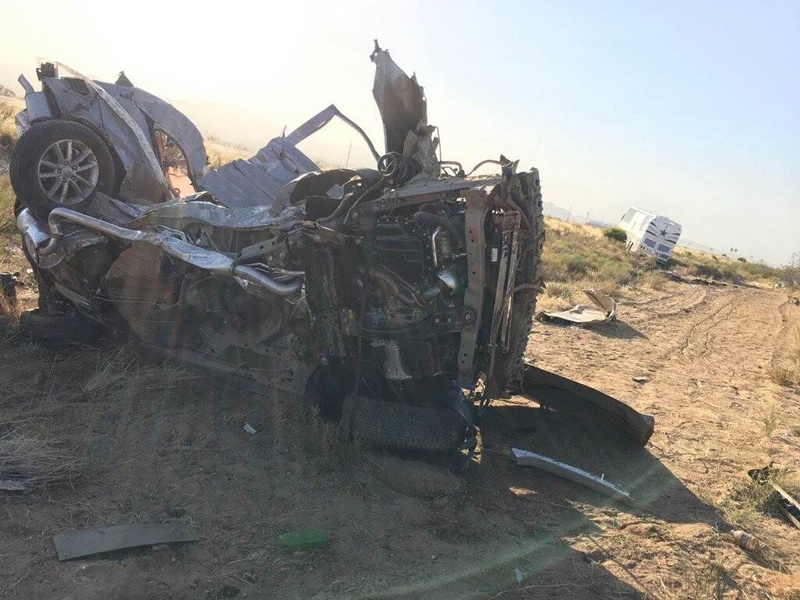 The two vehicles collided in the afternoon on U.S. 93, about 30 miles north of the city of Kingman, according to DPS. The crash shut down at least one lane of the highway, which serves as the main route between Phoenix and Las Vegas. The bus was on its way to a Dallas Cowboys fan event in Las Vegas. Charles Cooper, manager of GameWorks entertainment center in Las Vegas, said the session with 50 to 75 fans was scheduled for Sunday afternoon. Cooper said the team mascot was supposed to appear. People were already waiting when the president of a Las Vegas Cowboys fan club called to relay news of the accident. The event was canceled. After the Las Vegas stop, the bus was scheduled to have gone on to Oxnard, Calif., for the team's training camp. Members of the organization typically take a bus two weeks before the camp starts and make stops along the way.